The initial and most crucial step revolves around the identification of spend data available from different departments across an organizations business units. It includes- general ledger data, accounts payable, and data from e-procurement systems. The second step involves consolidation of all the spend data into a central database. Group suppliers into different categories for better supplier management. Categorize your spend data to analyze where the maximum amount is being spent. 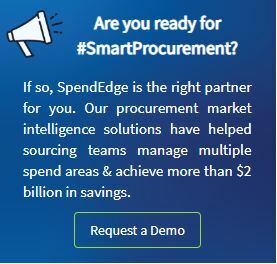 Analyzing spend data is a major step to ensure that you have negotiated the best contract deals per supplier. Performing a spend analysis once is a good start to identifying potential savings opportunities. However, to ensure the adherence to your contract terms it is important to update the data continually and repeat the process periodically. The client- is an asset management company that specializes in managing a wide range of mutual funds, pension plans, and other similar services. Continue reading to gain in-depth insights into the benefits of spend analysis or Request a free proposal.